Today companies are still trying to get more and more distinctive in people’s mind and one way to do this is by their office building. Vodafone, one of the world leading’s companies in telecommunications, a trend setter in its field and one of the most powerful brands ever created has from 2009 one of the inspiring office buildings in Porto city, Portugal. 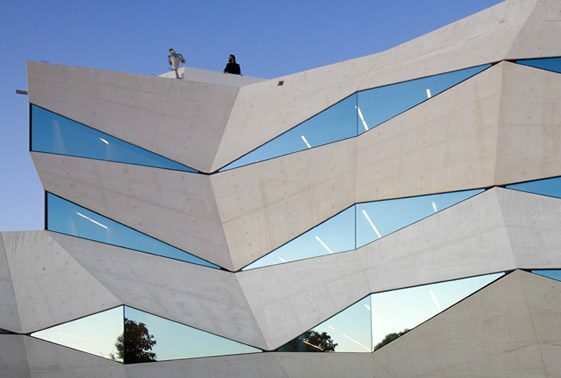 Following the company’s philosophy “Vodafone Life, Life in Motion”, architects José António Barbosa and Pedro Guimarães managed to create this amazing modern building which has a unique look. The Vodafone Office Building in Porto has recently been awarded first prize in design blog Arch Daily’s 2010 Building of the Year Awards, Institutional category and noted as one of twenty ‘most amazing creative offices in the world’ by website ‘The Cool Hunter’. 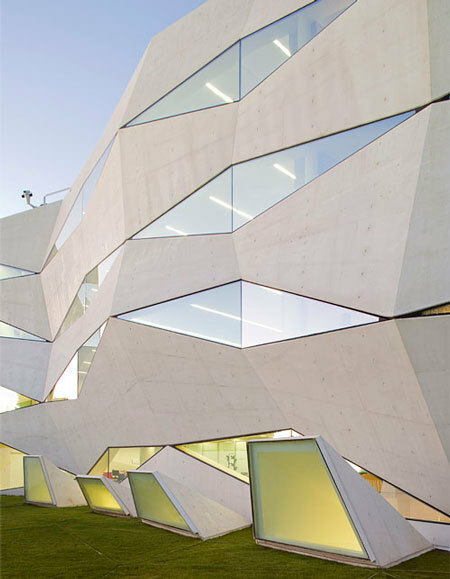 Defining features of this building located at the intersection of Boavista Boulevard and Correia Street are dynamism and playful spirit. 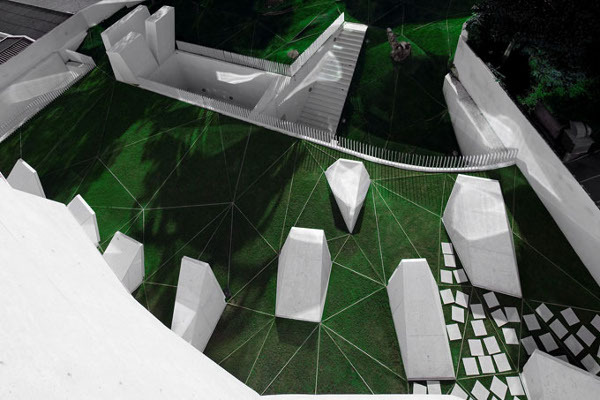 Faced with the challenge of inspiring the movement of an static default object default, architects have sought possible inspiration in areas such as painting, sculpture, photography, art that has faced this dilemma. 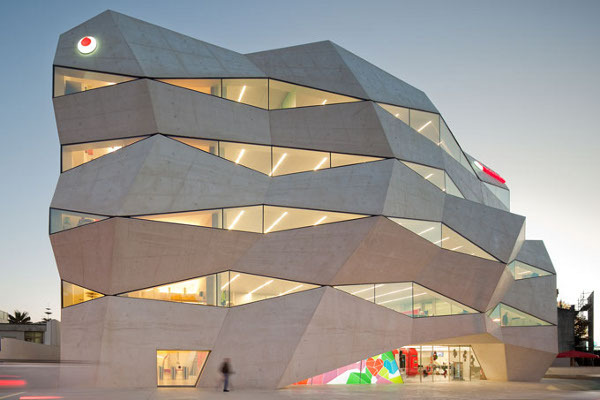 The concrete structure’s irregular form not only incites much interest from Porto’s tourists, but has been specifically designed to inspire the building’s users. Though the materials are simply, the dimensions of the building definitely are not. Surprising, but without being harshness, this beautifully minimal building looks like a giant, faceted jewel, the angles coming in and out seemingly randomly that creates the impression of an image reflected in water, animated by the waving waves. This new building is different from the existing structures in the west, opening a nice perspective on the public garden. It’s comprised of eight storeys – five above ground and three below. Two levels below ground provide car parking facilities whilst the third is occupied by technical areas and training rooms. At ground level, a spacious auditorium is coupled with a cafeteria and retail facilities opening out onto Boavista Avenue. 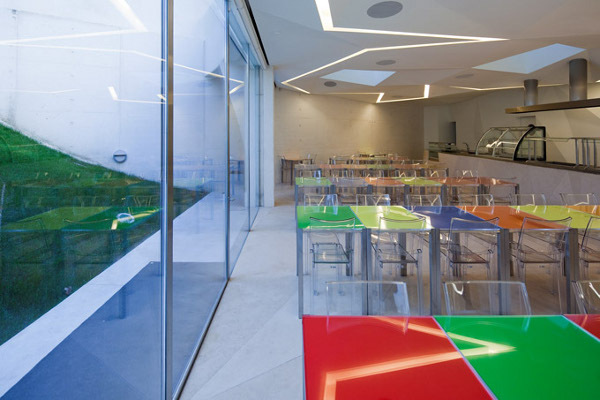 The remaining four floors act as commercial office space, all open-plan and with easy access to an outdoor terrace. Vodafone headquarters in Porto successfully combines architecture innovation with practical spirit and it’s required as one of the main points of interest and attractiveness of the city. Its like you learn my mind! You appear to understand so much approximately this, like you wrote the e book in it or something. I believe that you could do with some percent to pressure the message home a bit, but instead of that, that is fantastic blog. A great read. I will certainly be back.